Tours & Events lists all lettering walks, Legacy of Letters tours, public lectures, talks, panel discussions, workshops, calligraphic demonstrations, etc. that I am engaged in. 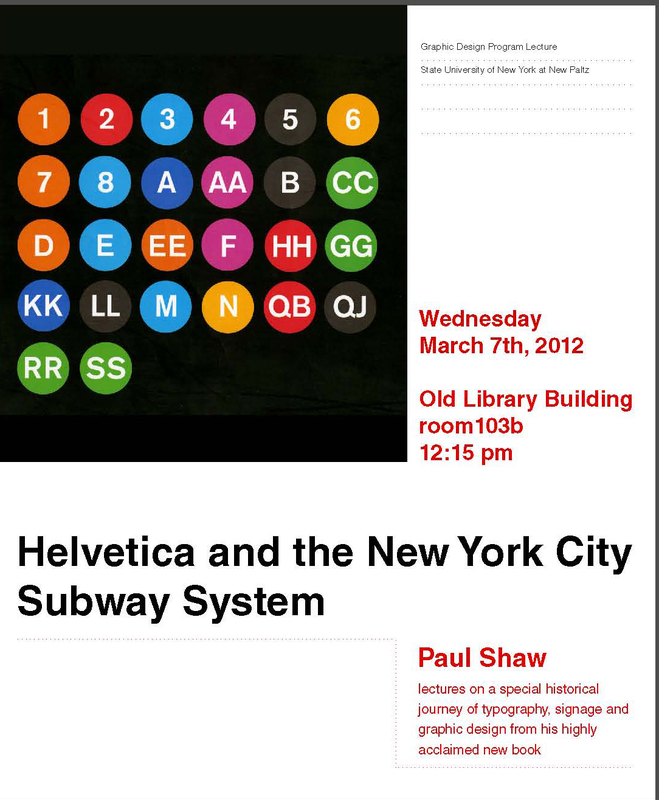 At the invitation of Aleanna Lüthi-Garrecht, Arthur Hoener and Amy Papaelias, professors in the Art Department at SUNY New Paltz, I was invited to speak to their design students on Helvetica and the New York City Subway System on March 7. I am excited to announce that John Boardley, publisher of the popular website ilovetypography, has asked me to serve as editor of the second issue of his print publication Codex. 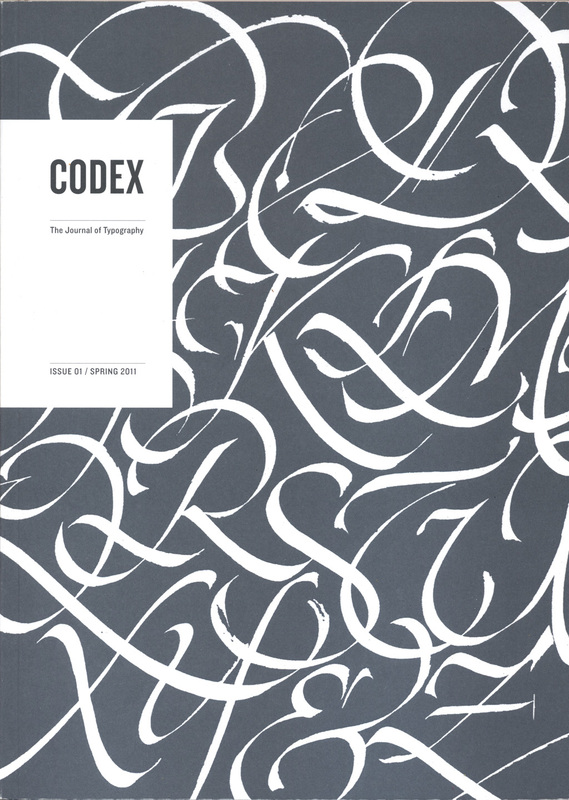 Codex: The Journal of Typography (Issue 1, Spring 2011). Front cover. AIGA Chicago is pleased to present Paul Shaw in our next installment of Designer as Author, an ongoing series devoted to discussing written works with the designer-authors who create them. One of the highlights of my brief visit to Berlin in July was a short type walk led by Florian Hardwig. 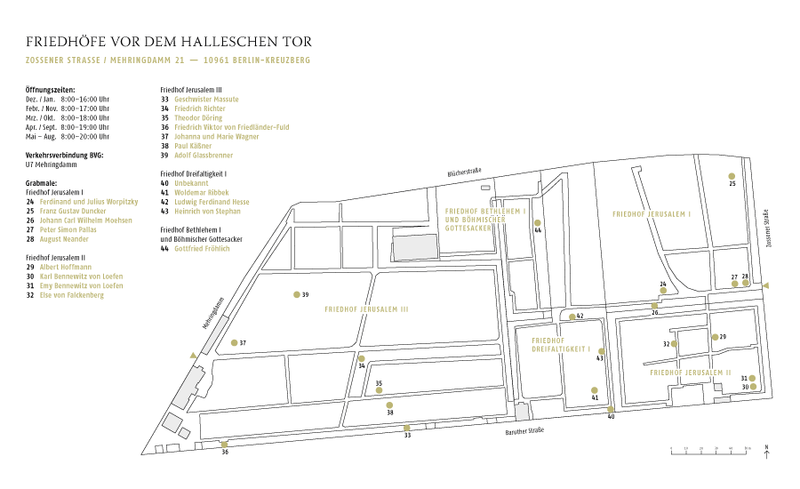 The highlight of the highlight was a visit to the Jerusalem und Neues Kirchen cemetery (part of a complex of six cemeteries called Friedhöfe vor dem Halleschen Tor). Here are a few of the most interesting items that Indra Kupferschmid and I came across after we broke away from the rest of the group. 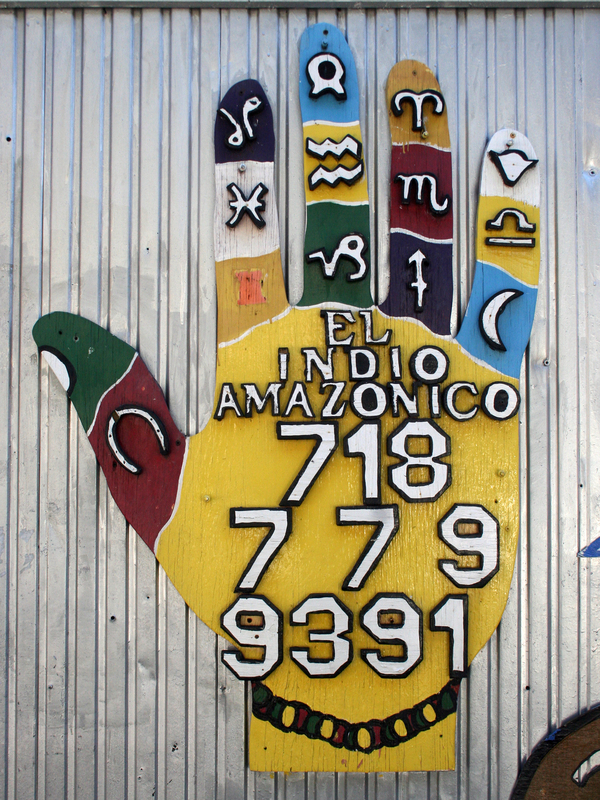 The fall 2011 TDC type tour will return to the borough of Brooklyn. This time we will explore the neighborhoods of Fort Greene and Clinton Hill. These are brownstone neighborhoods where the lettering excitement is going to come primarily from small businesses along with churches and a few institutions such as Pratt Institute. They have been revived but not completely gentrified so there are still older signs to see. 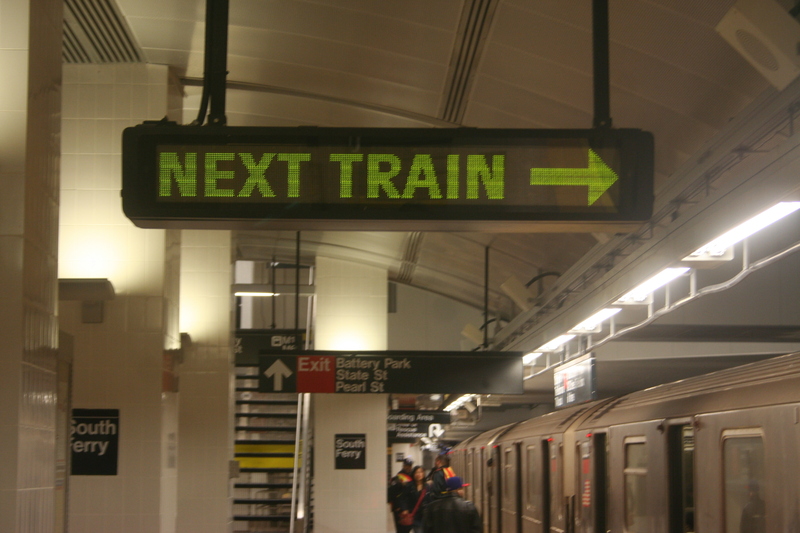 6:30 pm, Wednesday, 5 October 2011 Paul Shaw looks at how the subway’s signage system has evolved over the past forty years in his book, Helvetica and the New York City Subway System. 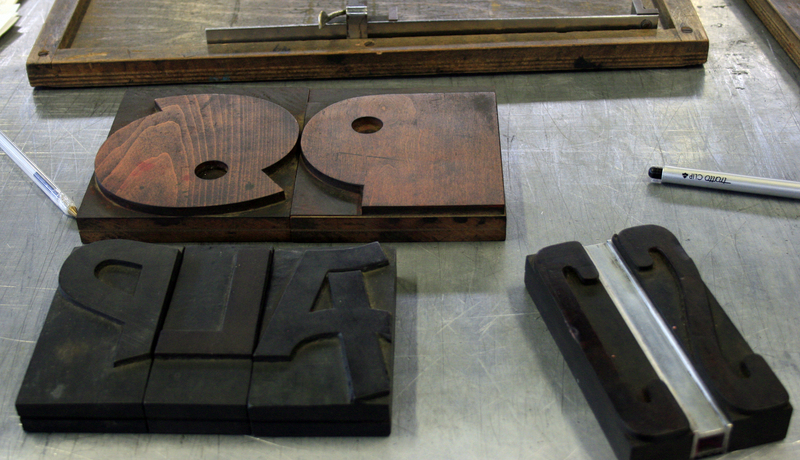 The resulting story is more than a tale of a typeface. It is a look at the forces that have molded a signage system.